This is a wonderful theme made for all the fans of the beautiful singer around the world. The Rihanna text on the homescreen changes slowly between 4 different colors, the homescreen features 6-7 customizable icons. 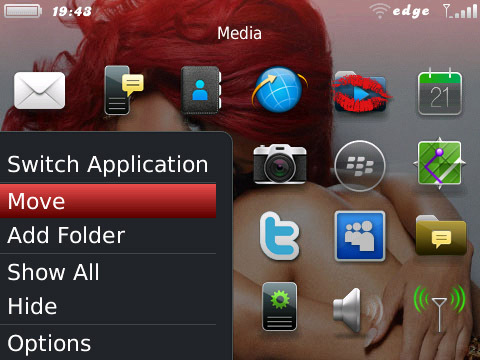 The theme is compatible with mostly blackberry devices using 4.6, 5.0 and with all the 6.0 series.